Here’s our favorite of the items that are sent to the office that we’d like to share with you. 2. to stay active and work out more than I had last year, setting aside time daily for some type of exercise. Thanks to their new “Punk” wireless speaker, I could listen to music directly from my IPhone or IPod while I’m cleaning and just moving the tiny speaker and phone to every room. Surprisingly, just like I was late to catch on to ITunes, I was embarrassingly late to learn about the Bluetooth technology for speakers, including portable travel size ones like the one below. I’ve now cleaned the kitchen and the living room singing my favorite R&B songs that made the experience faster and more enjoyable which used to be something I dreaded. Secondly, the “Everyday Active” Relays headphones came in handy when I recently traveled to Miami, Columbus and Las Vegas in the past few weeks. The reason why I loved them was their angled earbuds which allowed for me to toss, turn and run without having them fall out of my ears or move around as all others have in the past. This will come in handy as I plan to be more active not only in doors in the gym but outside activity that I tended to avoid in the past. 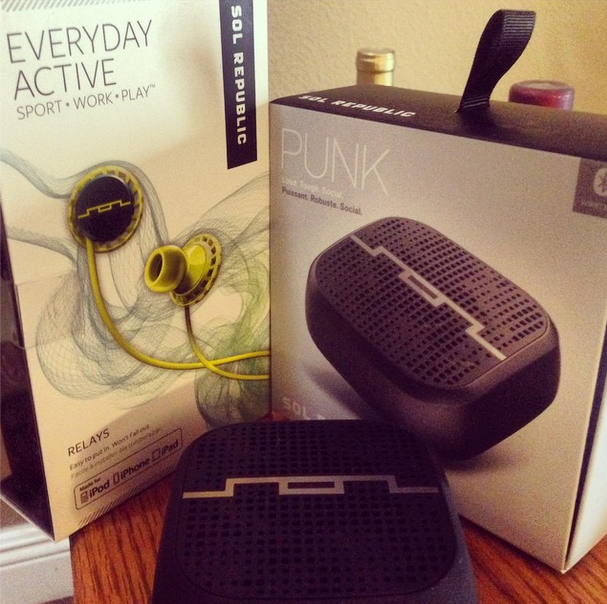 Visit SolRepublic.com to learn more about their products that are affordable and make great presents for White Elephant gift exchanges, co-worker’s birthdays or sister’s graduation, especially those who will be traveling alot soon as I have and will be this year for Third Floor Network events across the globe. As I was writing this article I got an email from my mom about “goal setting” from her District Manager with an article by Darren Hardy and since then have decided to change my list of resolutions to a list of tangible, actionable “goals” after reading the article below. 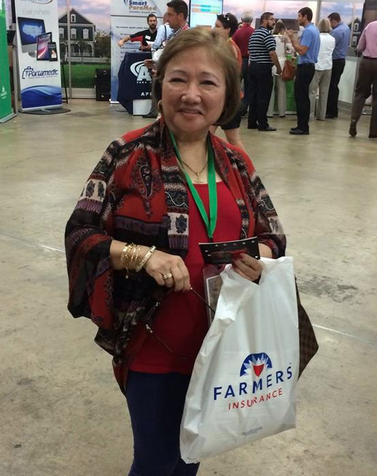 My mom, Maria Alba has been a successful entrepreneur and insurance business owner for over 20+ years for Farmers Insurance with my sisters Rachelle Cobarrubias and Chrystal Cruz, she can personally accredit setting goals as to one of the secrets of their yearly success in high volume of clients. Over the past year since deciding on starting my own marketing and production company independently versus signing on to be apart of another large corporate structure, I look back and know that it wouldn’t have been possible without executing a list of goals which included but not limited to launching the “Homegrown Hero” artists/athletes and celebrities returning to their highschool program that we did a few weeks ago in Las Vegas with Castro & The Audibles, shooting our first music and lyric videos with our new FourXample Productions video company, produced several sponsored events for advertiser brands while still continuing to book the most popular, credible or buzzworthy new artists like Nick Jonas, Mike Will Made It ft. Rae Sremmurd, Pusha-T (The Clipse), Alesso, Wiz Khalifa for partner digital, offline, radio or TV shows and much more. Take a read below and know that you can get started on listing your goals any day of the year, not having to wait for the apple to drop in Times Square to get you motivated. Shoot me an email at info@thirdfloornetwork.com with your list of goals for 2015. Looking forward to seeing you complete them! are and set your BHAG—Big Hairy Audacious Goal—for the year. Years ago when I attended the funeral of Paul J. Meyer, I was reminded how full, rich and diverse a life he led. He achieved, experienced and contributed more than the lives of the average 20 people combined. Reading his obituary made me reassess the speed, quantity and sheer size of the goals I want to set for myself. If Paul were here, he would tell you the reason for the quality and quantity of his successes came down to one skill: setting, sticking to and staying committed to BIG goals. In fact he wrote one of the first programs on the topic called “The Dynamics of Personal Goal-Setting.” A couple of ideas I’ll share with you come from my studies and practices of this program. You’ve probably read about the Harvard study below, but it’s worth reviewing again as we dedicate some significant time and energy to our decision to get serious about designing the life we want to lead. Mark McCormick in his book What They Don’t Teach You at Harvard Business School tells of a Harvard study conducted between 1979 and 1989. In 1979, graduates of the MBA program were asked to set clear written goals for their future and their plans to accomplish them. It turned out only 3 percent of the graduates had written goals, 13 percent had goals but they were not in writing and 84 percent had no specific goals at all–aside from getting out of school and enjoying the summer. Ten years later, in 1989, the researchers again interviewed the members of that same graduating class. They found that the 13 percent who had goals that were not in writing were earning, on average, twice as much as the 84 percent of students who had no goals at all. Most surprisingly, they found that the 3 percent of graduates who had clear, written goals were earning, on average, 10 times more than 97 percent of their graduating class. The only difference between the groups was the clarity of goals they had set (and spelled out) for themselves when they graduated. Now if you knew that stretching several hours out over eight weeks to devote to strategic goal-setting could multiply the results in your life by 10—surpassing the accomplishments of your peers, competitors, family members and neighbors—and produce 10 times more than what you are likely to achieve without defining your goals on paper—would you do it? Would it be worth it? No matter your background, education or current level of success, if you master the skills and processes I will take you through, you can instantly gain an advantage over everyone else around you. You can start to access more of the grand potential within yourself and achieve only in a few months or a year what it might take others their entire lifetime to accomplish. You can achieve vastly more in a shorter period than you ever imagined. The speed will amaze both you and the people around you. I have a relative who is exponentially smarter than myself. In fact, he has a Ph.D. I, on the other hand, only finished one year of college. He is also incredibly talented—he plays several instruments, sings like an angel and has talents I can barely conceive of. He is a passionate romantic, has a warm and engaging personality and is generous, giving and loving. Not that I don’t possess some of these finer traits–but not anywhere near to the degree he has. However, he is also nearly 50 years old, living in his mother’s home–the same one he grew up in–struggling to pay his bills (even though his room and board are free) and, of course, is incredibly unfulfilled, distraught and probably a bit depressed. I have seen many people with average intelligence run circles around proclaimed geniuses. Why? The one who learns the skill of effective goal-setting and achieving has a better chance of becoming far more wealthy, successful and happier than many geniuses who don’t know what they really want and haven’t plotted a course toward their better future! But I warn you, this is a serious program for serious people who want to create serious results. Learning to set goals is a master skill of success. Without goals your life is like a boat without a rudder. You drift along with the current, inevitably crashing up on the rocks time and time again. Proper goal setting puts you in a speedboat and gives you a target to steer toward. You will go directly to your destination and with great speed. By our very nature we are goal-seeking creatures. Our brain is always trying to align our outer world with what we’re seeing and expecting in our inner world. When you instruct your brain to look for the things you want, you will begin to see them. In fact, the object of your desire has probably always existed around you, but your mind and eyes weren’t open to “seeing” it. This is actually how the Law of Attraction really works. It is not some mysterious, esoteric voodoo–which it sometimes sounds like. It’s far simpler and more practical than that. We are bombarded with billions of sensory (visual, audio, physical) bytes of information each day. To keep ourselves from going insane, we ignore 99.9 percent of them. You only really see, hear or experience those upon which your mind focuses. This is why when you “think” something, it appears that you are miraculously drawing it into your life. In reality, you’re now just seeing what was already there. You ARE truly “attracting” it into your life. It wasn’t there before or accessible TO YOU until your thoughts focused and directed your mind to see it. Make sense? It’s not mysterious at all; it’s actually quite logical. Now with this new perception, whatever your mind is thinking internally is what it will focus on and all of a sudden “see” within that 99.9 percent of remaining space. Here’s an example: Did you ever buy a new car (or had a friend who did) and then you started to see that model and make ‘everywhere’? Seems like there are tons of them on the streets all of a sudden, doesn’t it? More likely than not, they’ve been there all along, but you weren’t paying attention to them. Thus, they didn’t really “exist” to you before. So, when you define your goals you give your brain something new to look for and focus on. You give your mind a new set of eyes to see all the people, circumstances, conversations, resources, ideas and creativity surrounding you. With this new perspective, an inner itinerary, it can now proceed with matching up on the outside what you want most on the inside, your goal. It’s that simple, but the difference in how you see, experience and draw ideas, people and experiences into your life after you have clearly defined your goals is profound. 1. You make a “wish list” and cross your fingers. As it says in the article, you cannot simply write down a list of wants on New Year’s Day, stick it in a drawer for the rest of the year and wait around for your life to change. 2. Your ideas are as clear as mud. Proclaiming your goal is just the starting point. Now you have to actually draw a map of exactly how you’re going to get there and define the resources you’ll need to arrive safely. The management and control system necessary to operate your plan, keep you on track, measured and monitored through your journey through the unknown needs to be in place and/or accessible. The support and guidance of people and resources you will need along the way for encouragement–and even a kick in the pants–is also key to accomplishing your goals. WHAT: Swedish company’s PR director Malkiel Berry who revealed that the collaboration will show off the artist’s three sides: Rainter Snoop, Rastafarian Snoop, and “Gin and Juice,” Bandana-Loving Snoop. 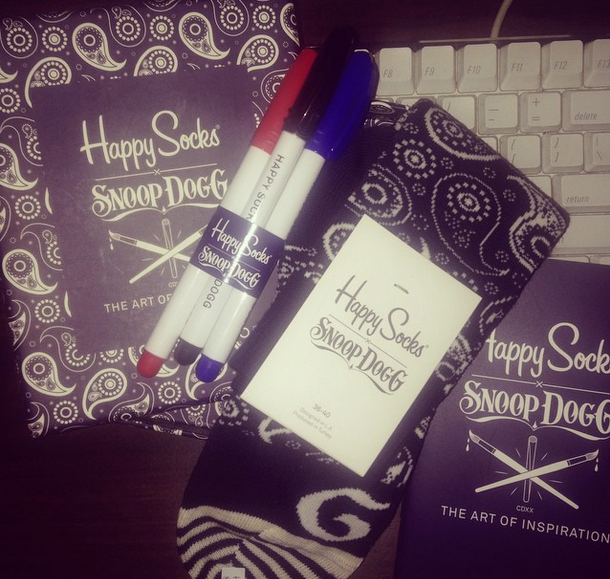 The three pairs will be sold together in special Snoop-approved box sets for $40 on November 1. We got the “Gin and Juice” pair and they made “happy feeet” figuratively & literally around here.